The crest of the dam across the Fryingpan River that forms Ruedi Reservoir, which can hold 102,373 acre-feet of water. 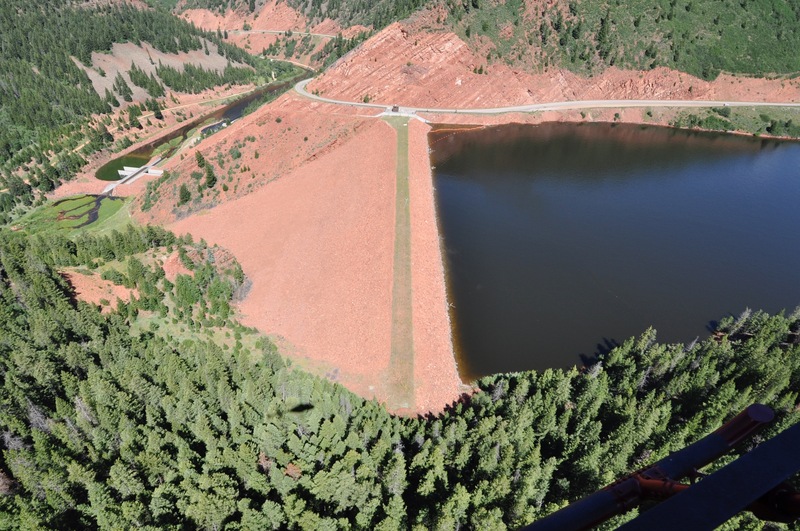 Photo courtesy Bureau of Reclamation. 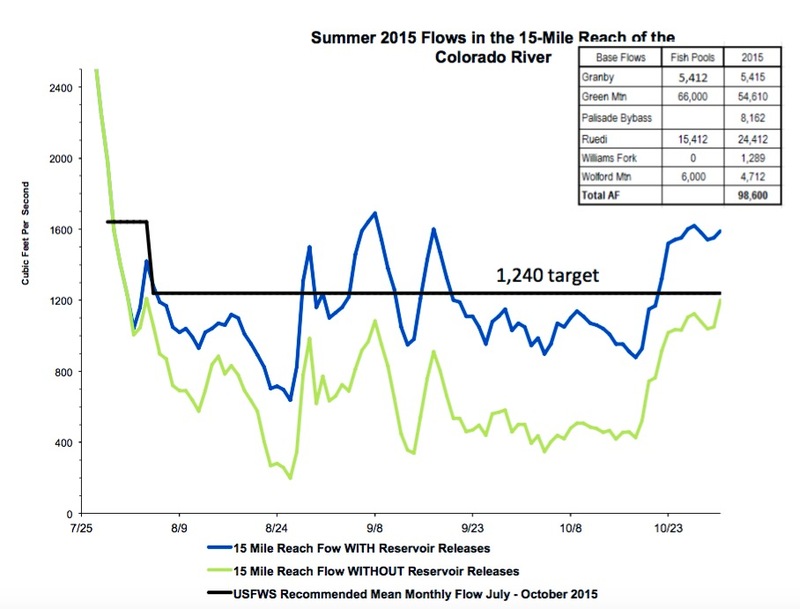 Yet there still wasn’t enough water in the river for the pikeminnow last summer, despite a total 24,412 acre-feet of water released from Ruedi and sent down the Fryingpan, Roaring Fork and Colorado rivers. The “fish water” sent out of Ruedi last summer and fall may have helped the native fish struggling to survive in the heavily depleted Colorado River, but it still wasn’t enough on many days in August, September and October to reach the target flow level of 1,240 cfs set by biologists. They’ll do so for the sake of the remaining 400 adult Colorado pikeminnows, and their optimistic offspring, who desire at least 810 cfs of water in the fall, if it is a dry year, and 1,260 cfs if it is a normal year. The Endangered Fish Recovery Programs Improvement Act of 2010, H.R. 2288, is intended to authorize annual base funding for the upper Colorado and San Juan fish recovery programs through fiscal year 2023. A Congressional Budget Office report estimated annual costs of the program will be about $3 million a year through 2015 and $3 million to $4 million a year from 2016 to 2023. The budget office based its estimates on reports from the Bureau of Reclamation and the Western Area Power Administration. Passage of the bill “will help ensure that the vital restoration work these programs have started can be accomplished,” said the bill’s sponsor, U.S. Rep. John Salazar, D-Colo. The program aimed at recovering the Colorado pikeminnow, humpback chub, bonytail and razorback sucker is scheduled for funding reduction in 2011. More endangered species coverage here.